MH370 disappeared without a trace on March 8 2014 en route from Kuala Lumpur to Beijing with 239 people on board. Jeff Wise, author of The Plane That Wasn’t There, said a huge surprise for investigators was that the satcom was turned off after the plane initially disappeared, but then switched back on again. At 18:03 UTC, a satellite tried to make contact with MH370 but received no response, but at 18:35 it initiated a log-on itself, meaning it was coming back inline. Mr Wise said: “Another detail of the Inmarsat data seemed a curiosity at first but in time would be recognised as having great significance. “After all, whoever took the plane never used the satcom. “They probably had no idea that its intermittent handshake exchanges could be used to track the plane, since the technique hadn’t been invented yet. “But lo and behold, looking at the fine print of the Inmarsat data log, we saw that in fact the system had been turned off and then back on again. This indicated that the plane had not gone dark because of an electrical disaster. 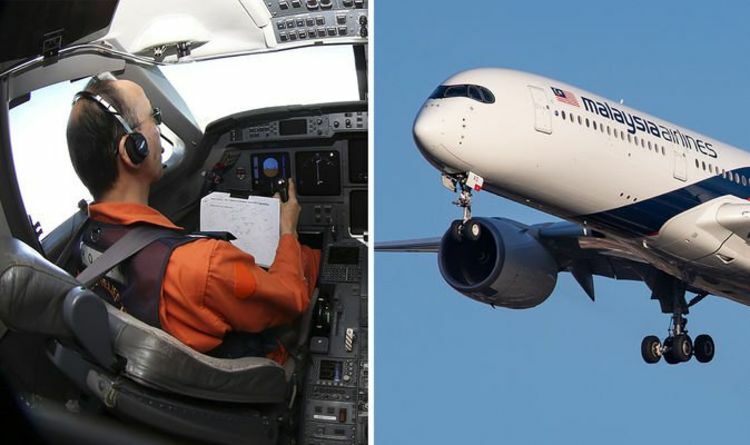 It was worked out that after the satellite communications system was turned back on over the Malacca Strait, the plane likely flew on for no more than 15 minutes before making a final turn south. From 19:41 UTC the plane’s flight path matched a straight line, indicating that it was in autopilot. This joins the many other mysteries surrounding the disappearance of MH370 five years ago.